On June 1st, the Supreme Court rendered a decision favoring a girl by the name of Samantha Elauf over retailer Abercrombie & Fitch. News coverage was widespread, and nearly every publication I read had virtually the same recital of the facts. 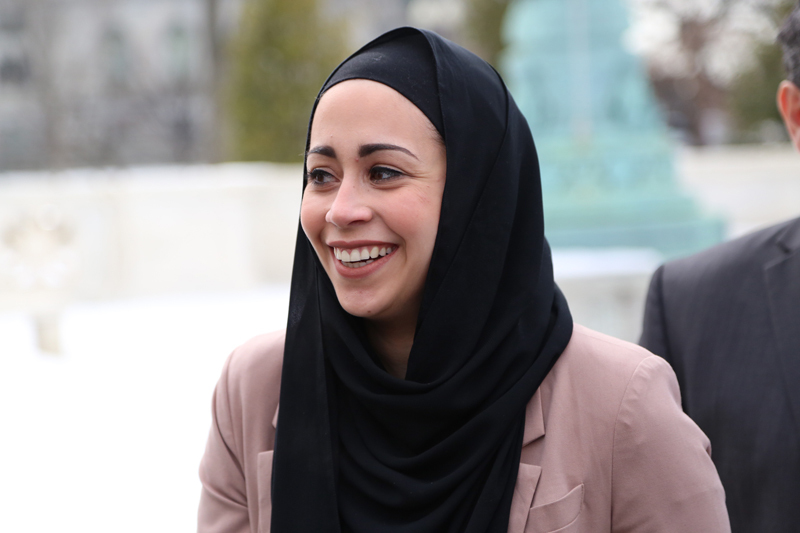 Simply stated, this young Muslim woman applied for a position at Abercrombie in 2011. The assistant manager felt she was an excellent candidate, but both he and the store manager were concerned that her wearing of a hijab would fail to exemplify the stores “look policy”. Her application was thus declined. Enter the EEOC (Equal Employment Opportunity Commission). The arguments of the case went back and forth on the technicalities of who knew what when. Ultimately, Elauf was awarded $20,000. The Court of Appeals overturned it, and the case wound up going all the way to the Supreme Court. Here’s the thing that gets me. Elauf, according to her LinkedIn page, was employed by retailer Forever 21as a Visual Merchandising Manager from 2008 to 2015. So, being in the business means that she had to be familiar with the culture and style of Abercrombie; just look at their ads and their shirtless staff. Why would a girl with her upbringing and religious persuasion want to work in a store that goes against her grain? This point was also brought out by fellow blogger Pamela Geller – the woman who brought you Garland, Texas. If she was gainfully employed at the time, why did she just happen to pursue a change in jobs to Abercrombie? This year she finally did move to Urban Outfitters, but not before leaving a ruckus in her wake. This is contrivance in its purest form. This is not a win for the freedom of religious expression. This is not a win for equal opportunity. This is not a win for social justice or discrimination. This is religion being forced down our throats. Do I approve of the style of Abercrombie? Not really. I remember the days when it was an amazing purveyor of fashion and accessories, not where a bunch of boy-toy types flaunted their hairless chests – thank goodness they’ve moved away from this. But, it makes me crazy that the Supreme Court (except for Clarence Thomas) wasn’t able to see through the ruse. This entry was posted in Justifiably Intemperate Rants, Political Discourse, Religious Issues and tagged Pamela Geller, Religious Contrivance, Samantha Elauf, Supreme Court duped by Gary Nilsen. Bookmark the permalink. A woman who didn’t finish college but became an ‘associate publisher’ of the NY Observer? Really? I’m sure she’s just really, really good at publishing. But she’s the one who ‘brought us Garland, Texas?’ Contrivance, much? Her background is irrelevant. The fact remains, she brought a discussion of First Amendment rights and to what extent we have to curb what and how we say it to the forefront. While her tactics might have been questionable, the resulting discussion was worthwhile considering. Yes, I’m sure she just thought this up on her own. Just like the 99% thought of the ‘impromptu’ demonstrations all by their lonesome(s) as well. Whatever happened to freedom of association? Whatever happened to the freedom of hiring who you wish to hire or not hire? Oh, that’s so pre-‘Civil Rights’….. Supposed “Christians” are forcing THIER form of religion down our throats every day. It doesn’t matter what religion Ms. Elauf practices, or whether or not she was gainfully employed at the time she applied for the position at Abercrombie. In today’s economy, you’d be an idiot not to have another job lined up before you left your current one. The fact that she was denied the opportunity of employment BECAUSE of a tenant of her religion is what this case was about. In the United States of America, no one is suppose to be denied employment because of their religion, whether that religion is a Christian based religion or not. It’s the law! I guess you forgot that. It was a heinous misuse of the law to force a personal agenda, that’s what I won’t forget. It’s not an axiom that laws will always prevail in preventing an injustice. I must say – I fell into the “lazy tv viewer” on this one and just read the headlines, made an assumption (erroneously) about the story and figured she was indeed being discriminated against. Thanks for presenting the story for what it is/was – a elaborate farce in search of an “almighty” dollar. $20,000 in my pocket and 15 minutes of fame. I would be smiling too. I work many crazy hours at 3 part time jobs and on average 60+ hours weekly… Perhaps I should try something sensational with little substance and then I would be able to pay my grad school loans. Right? I wish I could come up with something so simple and pick up a few bucks in the process….